WowWee Toy Robot Just $24.99! Down From $99! PLUS FREE Shipping! You are here: Home / Great Deals / Amazon Deals / WowWee Toy Robot Just $24.99! Down From $99! PLUS FREE Shipping! For all Prime Members only! Head over to Amazon to score this awesome WowWee Toy Robot for just $24.99 down from $99 PLUS FREE shipping! 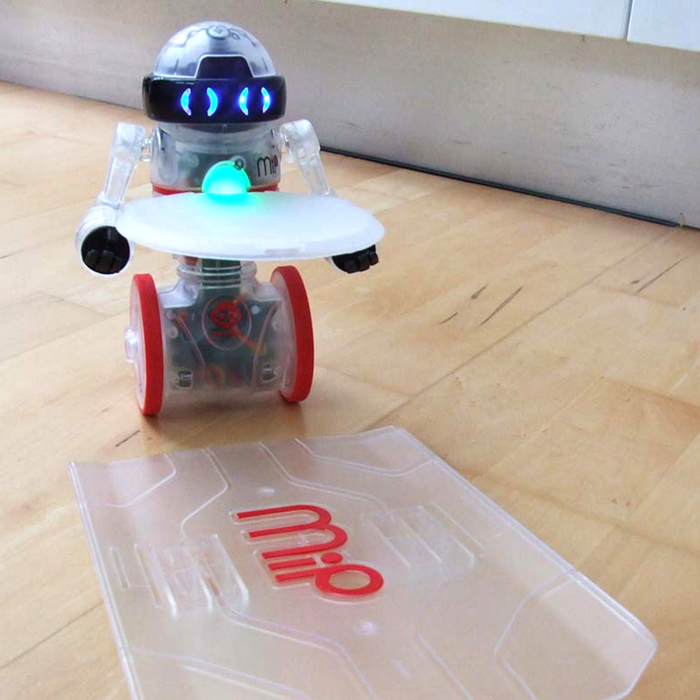 Coder mip is a new, programmable version of the world’s favorite balancing robot – featuring red accents and a cool new see-through design to show off the robotic components inside. Coder mip can balance multiple objects on his matching tray while moving or standing still, just like the original black and white mip versions. This robot has an inquisitive personality and communicates through motion, sounds, and LED lights in his eyes and chest. His sensors allow him to navigate his surroundings and respond to hand gestures. You can also make him dance or play games with him using the app. Amazing!